IP-based workflows will forever replace SDI. Let’s face it, there are only a small handful of points in time where our entire industry shifts and pivots in fundamental ways that change it forever. I believe we are at the precipice of one of those rare industry-defining moments. An example of a similar moment in the past was the advent of file-based workflows. There were many people at the time who thought moving away from tape-based workflows was a mistake. Today, tape doesn’t exist at all. And like that example, the move away from SDI to IP-based workflows isn't about a single specification or industry-imposed technology like the move to 4K. It’s about a fundamental change in the way video is produced. Many people in our industry view the difference between SDI and IP as replacing one cable for another. 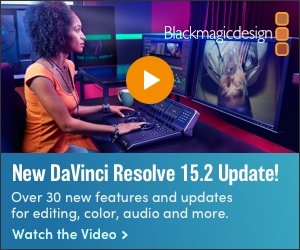 They both essentially connect something to something else in a workflow. But an IP workflow is far, far more than that. It’s as big as the difference between a walkie-talkie and a smart phone. One, IP makes your production part of a network infrastructure that is connected to every computer and cell phone in the world and more – even light bulbs! This is unprecedented in human history. SDI can only run parallel to it but cannot talk directly to other devices connected on a network like IP can. Secondly, professional broadcasters are being squeezed economically to produce exponentially more video while maintaining high standards of quality on ever shrinking budgets. Nowhere is this more apparent than in live sports production where demand for content is such that companies that once produced ten shows a year are now being asked to produce one hundred. Imagine the costs. Imagine what you have to pay your crews. Imagine trying to maintain quality standards with high turnover among your crews. Imagine your best talent getting away because you can’t pay them what they’re worth. Now imagine a production workflow that allows you to maintain your best production talent in a central location, but receives camera feeds remotely from wherever the action is in real-time. This is how production companies are scaling now as the demand for high quality video continues to rise. It is already happening and it will continue to drive demand for more efficiency on the broadcast side of the IP framework. Lastly, IP workflows will continue to democratise our trade whether we like it or not. The advantages are too numerous and enormous to mention here and some that haven't been imagined yet. But think of an individual producer who today can't dream of affording more than four camera inputs having as many as he or she could possibly use - from anywhere in the world. Multiply that by every company in the world that knows it needs to create quality video to be successful. It’s a completely new paradigm in production workflow. And probably the last one we will see for quite sometime.